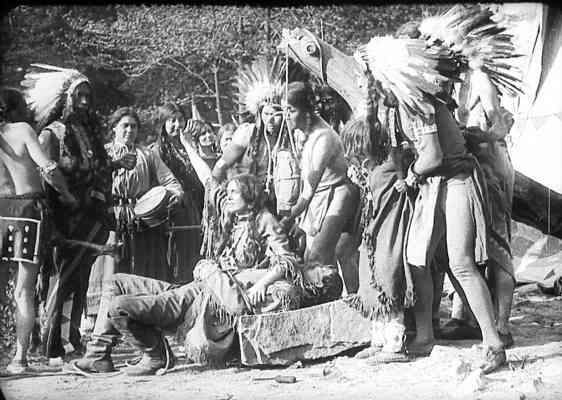 This still is from the film "White Fawn's Devotion," circa 1910, a movie made by the first documented American Indian film director. It is among this year's additions to the National Film Registry, run by the Library of Congress. WASHINGTON - One of Arnold Schwarzenegger's most famous one-liners will be back for generations to come, now that 1984's "The Terminator" has been selected for preservation in the nation's film archive. The move will guard Schwarzenegger's deadpan, "I'll be back," against deterioration, along with the sounds and images of the other culturally significant picks. Other titles being added to the registry include the groundbreaking all-black-cast film "Hallelujah" from 1929; Richard Brooks' 1967 film adaptation of Truman Capote's In Cold Blood; and the 1972 film "Deliverance," based on James Dickey's novel about four businessmen on a nightmarish canoe trip in the remote Georgia wildnerness.